On May 9, John Thompson announced his plans to step down as Director of the Census Bureau effective June 30. Thompson’s resignation comes at a critical time for the Bureau as it ramps up its activities ahead of the 2020 Census and continues to face periodic threats to the American Community Survey. So far, no details have emerged about a potential replacement. The Deputy Director position at the Bureau has been vacant since Nancy Potok left to become Chief Statistician of the United States in January. The next director will have to contend with a funding climate in which investment in the Bureau, which typically increases significantly in the years leading up to a decennial census, has fallen well below similar points in the cycle, with a fairly small increase passed for fiscal year (FY) 2017 and nearly flat funding proposed by the Administration for FY 2018. Without adequate investment, the task of conducting a fair and accurate 2020 Census will become increasingly challenging—and more expensive down the line. 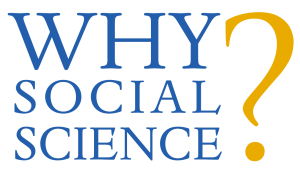 The most recent Why Social Science? post highlights a recent opinion piece published in The Hill by Paul Milgrom, a Stanford economist whose groundbreaking research in auction design is used by the Federal Communications Commission (FCC) to auction electromagnetic spectrum to companies, generating billions in revenue for the federal government. Read it here and subscribe. Last week, the Trump Administration notified Congress that it will transmit its complete Fiscal Year (FY) 2018 budget request on May 23. Federal agencies have started to schedule events to review their FY 2018 budget requests but details remain unclear as to the fate of agencies that support the social and behavioral sciences. The Trump Administration released preliminary details of the FY 2018 request on March 16, which included proposals for Cabinet-level departments and some other large agencies. Following the release of the complete budget request, COSSA will prepare an in-depth analysis of the budget as it impacts the social and behavioral sciences. Gopal Khanna has been appointed to lead the Agency for Healthcare Research and Quality (AHRQ) within the U.S. Department of Health and Human Services. Khanna was most recently the Director of Illinois’ Data Analytics Healthcare and Human Services Innovation Incubator and served as Minnesota’s first Chief Information Officer. He also served in senior policy positions during the George W. Bush administration. Khanna succeeds Sharon Arnold, AHRQ’s Deputy Director, who served as Acting Director for the agency after the departure of Andrew Bindman during the Presidential transition. The Department of Health and Human Services (HHS) is currently seeking nominations for seven new non-Federal members to its Advisory Council on Alzheimer’s Research, Care, and Services. The Council advises the HHS Secretary on preventing or reducing the burden of Alzheimer’s disease and related dementias on those suffering from the disease and their caregivers. The selected members will replace the seven members whose terms expire on September 30, 2017. Nominations are due June 16, 2017. For more information and/or to suggest a nominee, see the announcement. The National Academies of Sciences, Engineering, and Medicine has announced its second call for white papers to inform its decadal survey on applications of social and behavioral sciences for national security, which is sponsored by the Office of the Director of National Intelligence. The Academies is seeking white papers that “identify research concepts, methods, tools, techniques, and new ideas that could advance knowledge” across a range national security-relevant areas. More information and submission instructions are available on the Academies website. Responses are requested by June 12, 2017. Submissions from the first call for white papers, which focused on the needs of the intelligence community, can be accessed here. The Division of Behavioral and Social Sciences and Education of the National Academies of Sciences, Engineering, and Medicine has published the proceedings of their recent workshop entitled “The Social and Behavioral Science in K-12 Education: Past, Present, and Future.” The brief includes a summary of the seminar held in November 2016, perspectives from different social and behavioral science disciplines, and recommended next steps. The brief can be read here. COSSA, a founding member of the Friends of the National Institute on Minority Health and Health Disparities (NIMHD), joined in sending letters to the House and Senate Appropriations Subcommittee on Labor, Health and Human Services and Education and Related Agencies (Labor-HHS) leadership in support of $302 million ($21 million increase) in funding for fiscal year (FY) 2018 for the NIMHD. While acknowledging the “difficult budget environment,” the letter also highlights the institute’s success in basic research; community-based, participatory research; transdisciplinary and translational research; and training the research workforce.